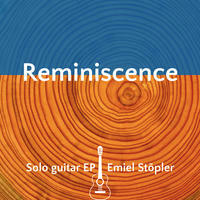 Emiel Stopler: Filmic composer and acoustic fingerstyle guitarist. Dutch composer and fingerstyle guitarist Emiel Stöpler began his musical studies as a teenager, playing the clarinet and the drums. At the age of seventeen his interest in music became more serious and he took up classical guitar lessons while studying engineering at college in the U.S.A.
After returning to his native Netherlands, he abandoned his engineering studies in favor of continuing with his guitar lessons. He studied classical guitar for two years at the Codarts Rotterdam in the Netherlands, and followed this with nearly two years studying composition at the Royal Conservatory of Ghent in Belgium. Emiel started composing music shortly after he began his guitar lessons, writing short pieces for solo guitar. As time progressed, he moved onto writing chamber music. 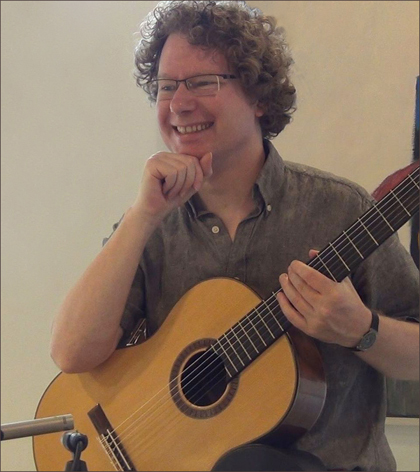 Emiel's compositions have been performed by various ensembles around the world, including the Turkish guitar trio Triobio, the Providence Mandolin Orchestra in the U.S.A. and the Strijktrio Sciolto from the Netherlands. He has also collaborated with American electronic music artist General Fuzz, for whom he recorded several guitar tracks. In 2008, Emiel won third prize in the Italian composition contest the Accademia della Chitarra di Brescia. In the field of film music, Emiel is also active. He wrote music for a presentation in the Frisian Museum of Nature in Leeuwarden, the Netherlands en is producing stock music for film and videoproductions. Emiel likes to compose in a variety of styles, influenced by pop, jazz and film music. However, his unique musical signature is always present in his work. In addition to his musical career, he is also a published author in the Netherlands. You can find out more about Emiel on his website. 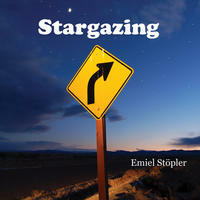 Emiel Stopler lives in Zwolle, Netherlands. Tagged as: Alt Rock, Folk, Instrumental Rock, Acoustic Guitar, Acoustic Rock, Daydreaming.